WWE’s inaugural Cruiserweight Classic tournament is unlike any series of shows I have seen the company produce. 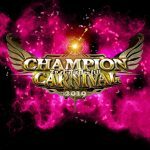 While so much of their programming can feel tiring, awkward, and unnecessarily complex, the CWC acts as a pocket universe; a show that has focused, purely and simply, on the competitive sport that is professional wrestling. 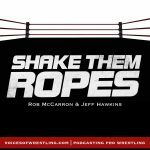 Hosted by Daniel Bryan and Mauro Ranallo—two men who proudly wear their love of wrestling right on their sleeves—the CWC has been void of the typical WWE methods of “telling stories:” No evil authority figures, no wince-inducing comedy, no distraction roll-up finishes, no swerves and screwjobs. The stories we got instead are a different breed. 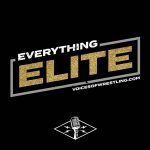 Thanks to a series of succinct, interview-style video packages—a concept that feels so novel, yet so simple—the tournament competitors are able to express their backstories, their motivations, and their shared desire to be the absolute best that they can be. It was through these videos that we were introduced to Rich Swann. Losing his parents at such a young age, Swann’s life took a hard turn. Wrestling saved him. There was nothing that he wanted more than to win the Cruiserweight Classic to show how far he’s come from those dark days. 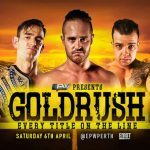 It was how we were introduced to Jack Gallagher: Hailing from Britain, Gallagher believes that his technical style of wrestling is better than the rest. Winning the tournament would not only prove Gallagher right, but would ensure Gallagher’s own superiority among the rest of the field. It was also how we were reintroduced to Brian Kendrick and Tajiri. Both men are veteran wrestlers and are certainly no strangers to WWE, having both competed for the company in the past. But the two were in the tournament for different reasons. Tajiri understands that he is on the downward slope of his career. He’s had a good one, no doubt: Multi-time WWE Cruiserweight Champion, WCW United State Champion, World Tag Team Champion, WWE Tag Team Champion, wrestled all over the world, respected by many. He entered the CWC to get one last big run, one last crowning achievement before he’s done. Kendrick’s motivations, on the other hand, were a lot more personal. He had success—at one time he was the longest reigning WWE Tag Team Champion in history alongside his partner Paul London. But because of his poor choices in life, he lost his WWE career. He let himself down. The Cruiserweight Classic was Kendrick’s road to personal redemption as a wrestler and as a person. He had to win. We came to know these wrestlers. We cared about them. We rooted for them on a personal and competitive level. The CWC is not about wrestling storylines; it’s about the stories that professional wrestling can tell. The winners and the losers. The favorites and the underdogs. The rookies and the veterans. Every one of the 32 competitors has a story. But after two months of matches, there are only four stories that matter. To the learned pro wrestling fan, Gran Metalik is better known as Mascara Dorada, formerly of CMLL and New Japan. What drives Metalik to win is to prove himself as a lucha libre competitor: To showcase the rich culture of lucha libre on a global scale and to make his home country of Mexico proud. All it takes is one match to learn how Metalik earned his nickname “The King of the Ropes.” His ability to use the ring ropes to his advantage is second to none: Springboard planchas, double jump springboard hurricanranas, corkscrew somersault sentons. Coupled with his speed, agility, and jaw-dropping balance, Metalik has used his Metalik Driver to defeat Alejandro Saez, Tajiri and Akira Tozawa to get to the semi-finals. Metalik’s success in the tournament is a notable contrast to his recent outing in New Japan. As part of an excursion, Metalik spent an entire year as a member of the New Japan junior heavyweight roster. 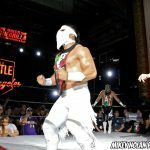 He had a few high-profile singles matches—an IWGP Jr. Heavyweight Championship match against Kenny Omega at Invasion Attack 2015 and a brief feud with BUSHI over the CMLL World Welterweight Championship towards the end of his run—but for the most part Metalik’s time in Japan was spent wallowing in multi-man tags. The CWC is a wonderful opportunity for Metalik to put that all behind him, take charge, and raise his stock to new heights on the international level. Zack Sabre Jr. embodies technical wrestling to the nth degree. While other cruiserweight wrestlers flip, flop, and fly their way to victory, Sabre prefers clipping his opponents’ wings, punishing them with a seemingly endless supply of submission holds that would make M.C. Escher jealous. Like Jack Gallagher, Sabre is in this tournament to establish technical wrestling as the best form of wrestling in the world. But just because Sabre sticks to the ground game does not make him any less exciting. The pleasure of watching Sabre wrestle is discovering how creative he can be in dishing out the pain. Yes, that armbar looks quite excruciating… but let’s see how much more excruciating Zack can make it. It’s as if Sabre challenges himself every match to come up with a new, more devastating way of making his opponent tap. Tyson Dux, Drew Gulak, and Noam Dar know Sabre’s techniques all too well. “I only want to make the crowd happy.” These are the words of Kota Ibushi, the “Golden Star.” And from the moment he stepped out onto the stage for his opening round match with Sean Maluta, Ibushi instantly had the crowd in the palm of his hand. They knew his reputation as one of the best that the world has to offer. He would make good on his promise. And he has, having two of the best matches of the Cruiserweight Classic (and possibly the year) with Cedric Alexander and Brian Kendrick. Despite taking time off in late 2015 and early 2016 due to a herniated disc, Ibushi has shown no signs of taking it easy in this tournament. In fact, he’s taken some of the nastiest bumps of the CWC, including a Burning Hammer from Brian Kendrick that nearly folded Ibushi’s neck in half. But Ibushi has given as good as he’s gotten, utilizing a litany of strong style strikes in addition to his high flying daredevil antics. 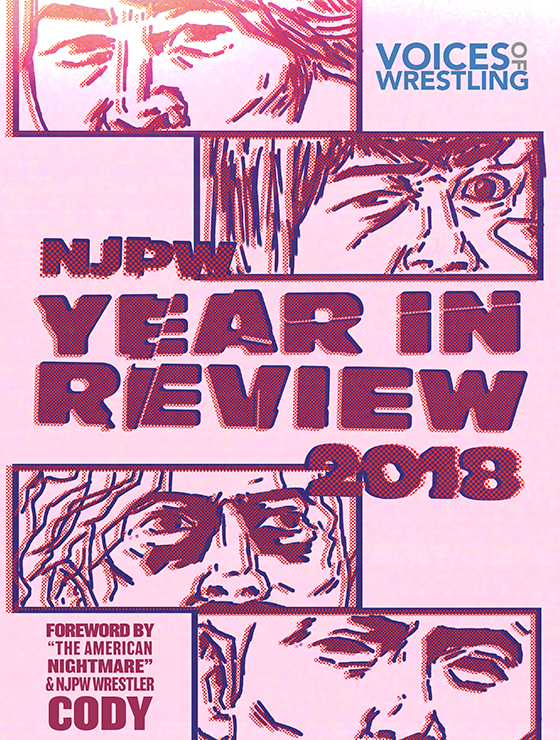 Some of Ibushi’s greatest hits—the Golden Triangle Moonsault, the Golden Star Powerbomb (which was put away every single one of his opponents), and the always incredible deadlift middle rope German suplex—make regular appearances and are expected to show up on the final night. 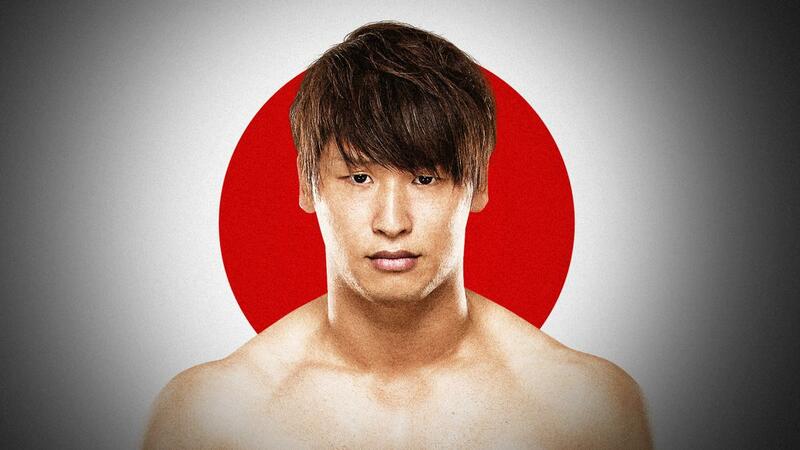 Ibushi is not only an amazing pro wrestler, he’s an accomplished one. He’s been a three-time IWGP Jr. Heavyweight Champion, a three-time KO-D Openweight Champion, won the 2011 Best of the Super Juniors and the 2015 New Japan Cup, and wrestled Shinsuke Nakamura to a 5-star classic at Wrestle Kingdom 9. There’s a reason he came into this tournament as a strong favorite. What makes T.J. Perkins such a fascinating semi-finalist is that he can go toe-to-toe with any of the other three. Metalik has the agility? So does Perkins; he can slither up, down, and around the ring, no problem. Sabre has the technical skills? So does Perkins; he beat Da Mack, Johnny Gargano and Rich Swann with his TJP Clutch submission. 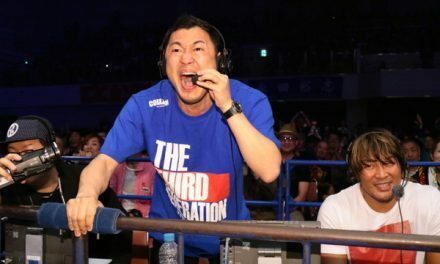 Ibushi has the strikes? So does Perkins; his feet often meet the faces of his enemies with moves such as his springboard apron dropkick and the Detonation Kick. Perkins has a game plan no matter the opponent. Perkins’ story is not your typical wrestling tale because of how young he started. He began training at the age of 13 and had his first match at 14. Since then he has traveled all over the world, wrestling in the United States, Mexico, Canada, Japan, and everywhere in between. The list of companies includes TNA, Ring of Honor, Evolve, CMLL, New Japan, and PWG, just to name a few. Now at 32 years old, Perkins has a lifetime of experiences—both good and bad. He’s been a TNA X-Division Champion and wrestled on national television. He’s also been homeless and given little direction in some of the companies he’s wrestled. Pro wrestling has not always been kind to T.J. Perkins. But it’s his passion. It’s his life. To win the Cruiserweight Classic would make all those hardships worth it. Who goes to the finals? Who wins the finals? It speaks to the manner of how this tournament was booked when the answers to those questions are not easy to predict. All four men have been so strongly featured in the matches leading up that any one of them could win the whole thing. But just because any one of them could win does not mean any one of them should win. It’s no secret that Sabre vs. Ibushi is the money match. So many of us would be tempted to set that up as the finals. Two of the best wrestlers in the world and the two biggest names in the tournament squaring off to determine the winner of the Cruiserweight Classic? It’s a match that’s being handed to us on a silver platter. Think of the bigger picture, though. What has Raw been promoting since the brand split? Their shiny new Cruiserweight division. And which two semi-finalists have been announced for this new division? Gran Metalik and T.J. Perkins. NOT Zack Sabre Jr. and Kota Ibushi. The latter have not even signed with the company. 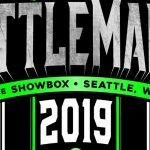 If WWE wants this tournament to mean something, if they want their Cruiserweight division to mean something, then the smart move would be to have Metalik vs. Perkins as the finals. Set them up as two of the top competitors for this new division. What good does it do for the company if Sabre or Ibushi win and neither is going to stick around in the long run? The choice then comes down to Metalik and Perkins. Who wins? Well, I think it boils down to what WWE wants. 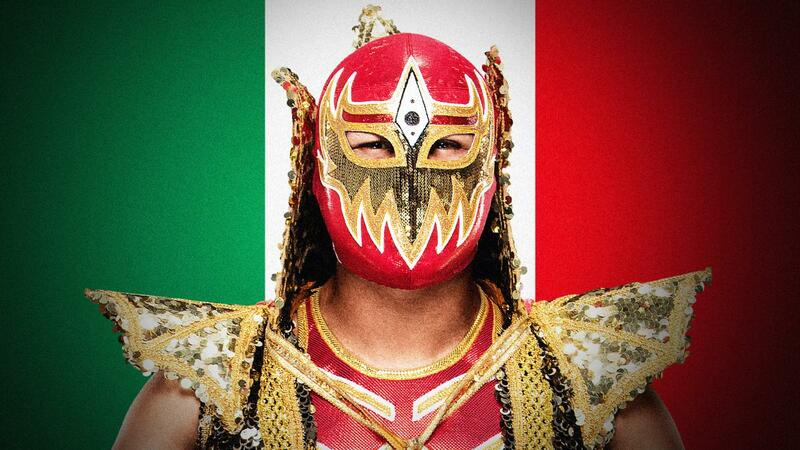 WWE wants to showcase their next Mexican star? Gran Metalik. WWE wants the feel-good moment? T.J. Perkins. It’s a coin toss. Perkins might edge out Metalik simply because he can speak English, but even that is not a 100% guarantee of his victory. The Cruiserweight Classic has taught us so much. Treat pro wrestling as a competition. People will care. Treat pro wrestlers as real people with real emotions, real stories, and real motivations. People will care. Make wins and losses matter. People will care. The tournament is almost over. I can’t wait to see how it ends. NextWWE Cruiserweight Classic Finale Live Reaction!